Bangkok, Thailand -- An embodiment of the old, sacred world, the Northeastern-style wooden Buddha image known as ifPhra Mai Isan is disappearing from sight. Fortunately, with the praiseworthy effort of one local scholar, a number of wooden Buddha images in different folk-art styles were tracked down and kept on display ensuing the public can still appreciate this form of religious art. The quest occurred a few years ago. Asst Prof Chob Deesuankoke, a religious lecturer and expert on local art and culture, saw many wooden Buddha images scattered about on the grounds of a temple - abandoned and decayed. The sight jolted him into action. ''Our ancestors carved these wooden Buddha images out of deep faith in and respect for Lord Buddha. It's a pity to see these statues in ruin,'' said Chob, director of the Office of Art and Culture, Khon Kaen University. In an effort to give the discarded sacred objects a new lease on life, a few years ago, Asst Prof Chob and his team launched a project to preserve the wooden Buddha images. They paid a visit to every temple in the Northeast to see if there were any images left. 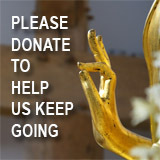 The team has finished their journey now, having collected about 200 wooden Buddha images. Most of them go back around 150 years, with the oldest one at about 200 years old. Thanks to all his efforts, Chob has received cooperation from the abbots at the temples. ''Most of the abbots gave their wooden Buddha images to me for further study. While on the survey trips, I also presented information about the historical background of the local art to the public so that they could join our team in locating and preserving it,'' he said. According to Chob, wooden Buddha images were once commonly found in all 19 northeastern provinces. The areas where they exist in greatest number are Khon Kaen, Mahasarakham, Roi Et, Kalasin and Mukdahan provinces. There is no record of the origin of the art in these regions. But it is widely believed that the wooden sculptures were influenced by the Lan Chang school of art, now known as Laotian Art. The design of all Phra Mai Isan images looks similar with two postures, standing and sitting. As these images were made by local artisans, the folk style can be seen clearly. ''People built the Buddha images from their faith. They had no correct knowledge about art and the proportion of a sculpture. 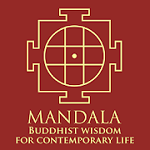 Some Buddha images wear the yellow robe on the wrong side, with the wrong pattern. But that does not matter. It is the sincere show of faith that comes first,'' he said. According to Chob, people in the old days had many reasons for building the wooden Buddha images. It was commonly believed that building a replica of Lord Buddha was a way to support Buddhism. The builder would also gain merit. Some believed that building a wooden Buddha image would bring them good luck, good health and prosperity. Furthermore, many people built the wooden Buddha image to dedicate to their deceased relatives or parents. There is a belief that a newly built Buddha image can help lengthen the lifespan of the sick or people whose luck is falling under a bad sign or influence. Once built, the wooden Buddha image would be presented to the temple's abbot and kept in the temple hall for people to pay homage. However, now that a new, stronger and more modern style of Buddha image could be cast, these ancient carved images were replaced and moved out from the temple hall. As often the case, they were placed outside the temple walls or under big trees, at the mercy of the weather. ''That is a tragic scene,'' said Chob. He added that that feeling of sadness stayed with him as he roamed around every temple in his hometown, to be superseded by joy when he encountered any remaining images. Although the design of Phra Mai Isan is less sophisticated than that of more modern Buddha images, they are integrated with the local cut and culture, not to mention a rustic charm. According to Chob, a wooden Buddha image was carved by traditional tools - a bamboo-splitting knife, kitchen chopper, small saw and file. Sealing wax, oleo-resin and curcuma were also applied for the final touches. Both soft and hard wood were popular for making the wooden Buddha images, depending on the craving skills of the sculptor. Inexperienced ones would prefer the soft wood while veterans would go for the hard type. No matter the kind, the wood used to carve a Buddha image must come from an auspiciously named tree such as the Bodhi tree, tamarind, wild mulberry, orange jasmine and jack wood. ''Some pieces look so simple. The sculptor apparently used a small knife to sketch a pattern onto the soft wood. But they are so unique and classic,'' said Chob. All completed wooden Buddha images must be blessed in a sacred ceremony performed by the abbot before being taken into the temple hall. This local rite is known as pithee berk nate, or a ceremony of opening the eyes of the Buddha images. Five monks were invited to join the ritual. 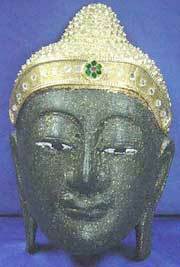 The head monk would use garlic cloves or curcuma to rub along the eyes of Buddha image. Buddha images that are placed in this rite would be considered sacred. Later, the ceremony was slightly adjusted so that it became more convenient for people who wish to hold it. Villagers can invite only one monk to perform the rite. In some areas, people only take the Buddha image to an ordination ceremony to consecrate the replicate. At first, people in the Northeast didn't keep the wooden Buddha images in their homes but later things changed. Some people built the images on their own. Then, they invited a monk to perform a sacred rite and placed the Buddha image on a shrine. According to Chob, the popularity of the wooden Buddha image faded several decades ago as new materials such as metal and glass were introduced. In the Northeast, people prefer glass Buddha images to wooden ones. ''That is how the wooden Buddha image became replaced and discarded. Some were entwined by the roots of big trees where they were left. I had to save both the tree and Buddha image by digging up around the area and removing the piece,'' explained Chob. Although the wooden Buddha images have been sunk into oblivion, in many places like Chaiyaphum and Mukdahan, the ancient sculptures are salvaged when found. People still perform traditional bathing rites for the wooden sculptures during religious ceremonies. In the future, Chob plans to open a local museum where all wooden Buddha images will be on display accompanied with historical information about each piece.